Have you ever wondered who holds the record for the most home runs hit in a single professional baseball game? Author Noah McCaffrey hits one out of the park with his new novel about eight home runs and one unbreakable promise. "AND MY FATHER WAS THERE" is the story of one family’s love for “America’s pastime” and one moment in the game’s history that forever changes their lives. McCaffrey’s new novel is a compelling blend of history and fiction suitable for the entire family. Perfect for fans of "THE ROOKIE," "THE NATURAL," and "FIELD OF DREAMS." 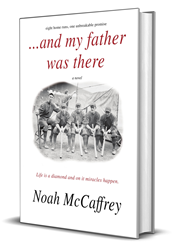 "Noah McCaffrey takes a single moment in baseball's history and weaves a heartfelt story around it, one that will appeal to fathers and sons, as well as to wives and mothers." ~ John Ames, filmmaker and cinematographer. THE YOUNGS have been a baseball family ever since Al Young saw "Nig" Clarke of Corsicana Oil City hit eight home runs in a single game back in 1902. It was then that Al decided he would make his living playing baseball, and he did, playing shortstop for the Boston Braves until World War I took his ability to speak and function. His son, Laird Allen Young - a twenty-something hurler with a penchant for throwing more than the baseball - follows in his father's footsteps, becoming a pitcher for the Hartford Bees, a Boston Braves affiliate. The one thing Laird longs for more than anything else - besides one day playing for his father's former team - is to have just one conversation with his mute and unresponsive father. But after 29 years, Laird has given up hope - until one day his mother gives him an old tin tobacco box belonging to his father, its contents about to change everything. "Has a good heart to it." "A wonderful read...intelligent...touching...as much about life as it is about baseball." "There were numerous reasons for writing this particular story, but two key reasons were my love of baseball as both a sport and a family endeavor, and my desire to represent men's issues in the literary marketplace. Like many boys, I grew up playing baseball; I loved everything about the game, and I still do. But in today's America it seems baseball is taking a backseat to many other sports and activities competing for a boy's time. I wanted to try and help promote the sport in some way. I also wanted to write a story that deals with issues young men face as they grow and develop into fathers and husbands. Though this story is historical and set in an earlier time, the issues I present are very relevant to men today. A growing number of young men are lost today, unsure of their place in a world increasingly hostile to them. Like women, we men face struggles particular to us and I think we need more men writing about them. I chose to do it in a fictional setting. Sadly there is not an official category in publishing called, 'Men's Fiction,' though there are two for women, 'Women's Fiction,' and 'Chick Lit.' I think we need to fix that discrepancy." Noah McCaffrey is member of SABR (the Society for American Baseball Research) and lives in North Carolina with his wife and dogs. He studied storytelling and film production long ago at a university out west. After a few years living and working in Hollywood, Noah moved away and began writing. Much of the past 15 years has been spent ghostwriting for other authors. Now he is writing for himself...and his gracious readers, of course. He played baseball growing up, pitching and catching mostly. 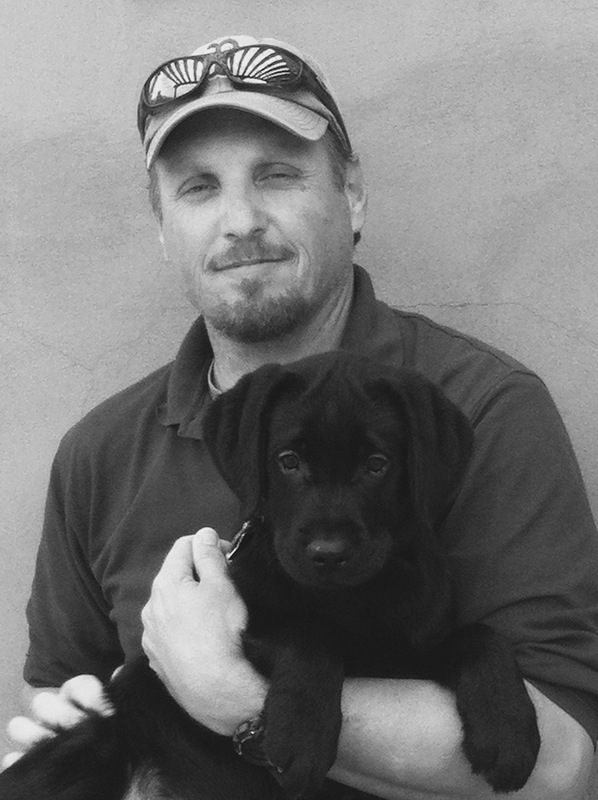 And he has spent a good portion of his life living and working with dogs. With those things in mind, it's no surprise that his favorite subjects--baseball (especially the early days of the game) and dogs--find their way into his stories. One thing he feels passionate about is writing fiction tailored toward men, though his stories often appeal to the women who love them as well. When not writing, Noah can be found watching classic movies with his wife, reading, or doing something outdoors with the dogs. or by contacting Noah McCaffrey directly through his website, http://www.NoahMcCaffrey.com.